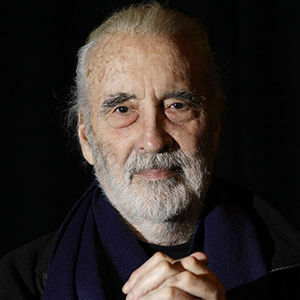 Prolific British actor played Saruman in "The Lord of the Rings"
LONDON (AP) — Christopher Lee, an actor who brought dramatic gravitas and aristocratic bearing to screen villains from Dracula to James Bond enemy Scaramanga, has died at age 93. Add your thoughts, prayers or a condolence to Christopher's guestbook. "So happy to have had the chance to watch you in film ...great actor"
"You were such a good actor,I am a big fan of your dracula movies.You were the best dracula ever.Allways in my heart,Betty A. Brooks FAN!!!"